Supporting the coolest project ever, or throwing money down the drain? In brief: It was only yesterday that we reported that Martian-colony startup Mars One had gone bankrupt. Now it seems to have found a “mystery investor” that is looking to pull the project out of the hole. On Monday, court documents revealed that Mars One’s money had dried up. 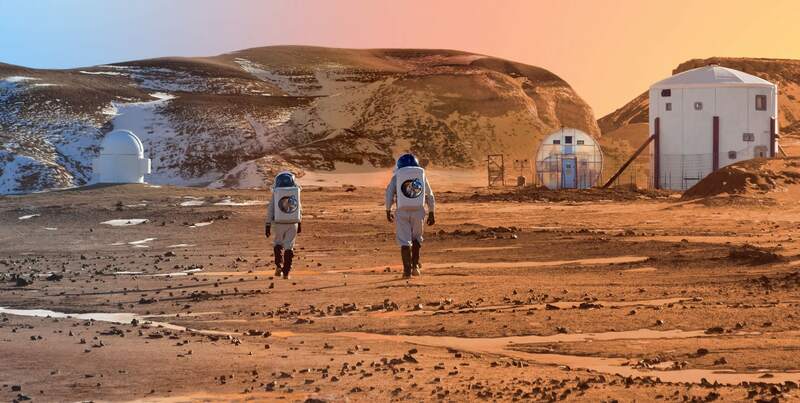 CEO Bas Lansdorp confirmed that the project to colonize the Red Planet and broadcast it as a reality show was bankrupt, but added that he was looking for investors to revive the idea. Apparently, at least one generous backer heard the news and is reportedly in talks to at least pay off Mars One’s $1.1 million of debt, notes Engadget. The negotiations are also hoping to gain capital to re-inject the promotion of the reality series, which was what was supposed to fund the project in the first place. "Who'd choose to bankroll a defunct startup that's been on the receiving end of criticism over the scientific and financial viability of its colony is anyone's guess." Perhaps unsurprisingly, the idea failed with one insider calling the whole thing a scam, an allegation Lansdorp flatly denied. The name of the investor is not being released at this time. However, the benefactor will be holding a press conference on March 6 to officially announce its intentions and what agreements have been made with Mars One. Early estimates put the project's price tag at around $6 billion. Lansdorp has remained quiet on updated estimates. Financial troubles are not the only obstacle that the company has facing it. German regulators fined the company over $450,000 in two separate stock exchange violations, which the company never paid. It was subsequently removed from the exchange. It is unclear at this point if the savior investor will be enough to recharge the project and get it up-and-running again, but we’ll hear more in just a few weeks.